This evening I didn't feel like making a big meal after waiting for over 2 hours in the doctor's office this afternoon...ugh! I wanted to make something that was quick and simple. 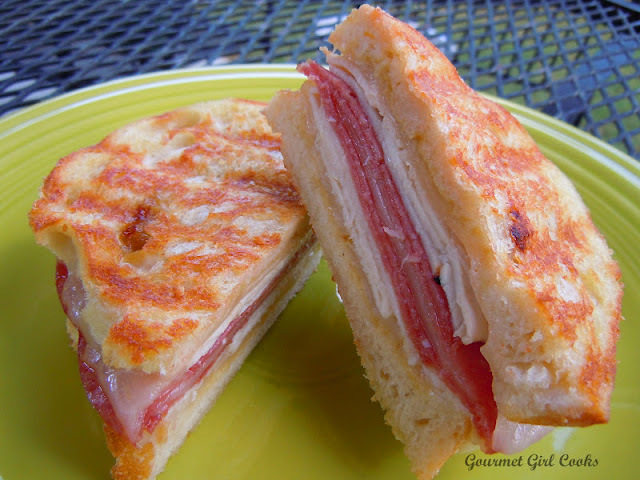 I decided it would be the perfect panini night....so hubby stopped at the store and picked up an unsliced "French loaf" and some deli meat and I grilled us up a couple paninis in no time. 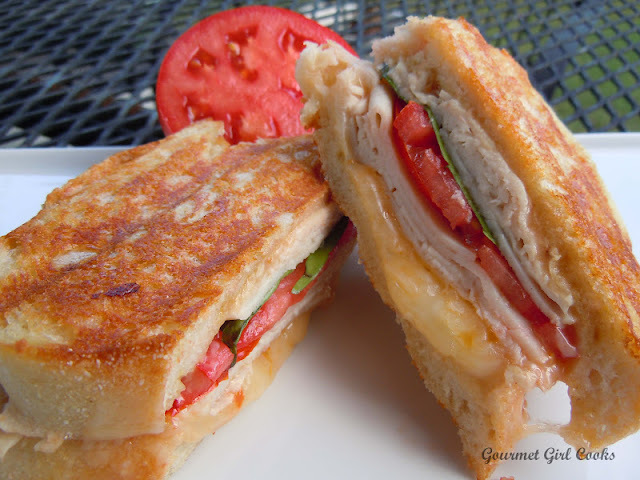 He had turkey, salami and swiss with a light smear of honey mustard and I had a turkey, white cheddar-jalapeno, tomato and basil (both the tomato and basil were from our garden). They turned out perfect and delicious and took less than 15 minutes to make both of them. You must admit that mine was much prettier! ;-) Check out a couple pics below. Enjoy!